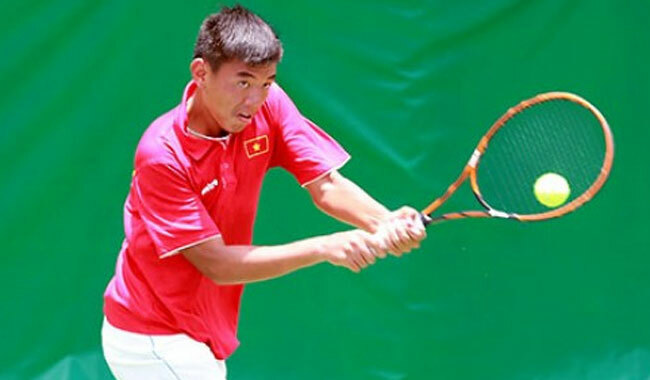 HA NOI (VNS) — Ly Hoang Nam (Viet Nam) and Alberto Lim (Philippines) advanced to the final match of the Asian Closed Junior Championships' boys' doubles event yesterday in India. The No 1 duo defeated Japanese rivals Ito Yuya and Takahashi Yusuke, the No 3 seed, 6-3, 6-4 in a semi-final match. They will meet another pair from Japan, Fukuda Sora and Tokuda Renta, in the final today. The Japaneses beat their fellow-countrymen Naoto Kai and Yosuke Watanuki 6-3, 6-2 in another semis. In the singles category, No 1 Nam earned his berth in the semi-finals after easily beating Ito Yuya 6-3, 6-0. His last rival will be No 3 seed Watanuki Yosuke of Japan.